The Baby boomers will be in their 60s or 70s and supporting their aging families or unemployed children. They will also be working on rebuilding their savings for retirement. Baby boomers will no longer be spending as much money on discretionary retail purchases, making them less of a loyal consumer. The Millennials, who will be in their 30s, will be the main consumers for retailers. However, they tend to value quality over quantity and have a real passion for social causes. Having grown up using the internet for everything, retailers will need to be able to offer products and experiences in various outlets that are important and valuable to the millennials to be most successful. Consumers in general will have a less disposable income and an adjusted spending behavior. Those that are positioned to serve the middle market have seen their share of a shrinking trend, the hourglass effect. Retailers in the middle will need to rethink their value to avoid a continued loss of market share. 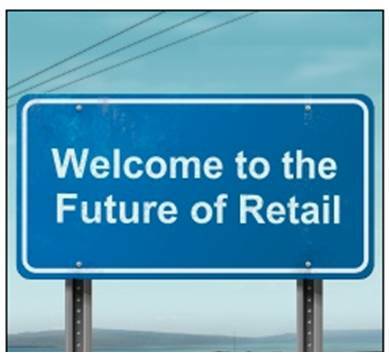 As we are reinventing retail, again, ask yourself if you have a strategy that will allow you to stand out and meet the needs of the 2020 consumers. With the next decade coming in fast, it’s time to get going. For questions regarding POS systems, and to find the right POS system for you, visit our website or call us toll free at 1-877-580-9687. 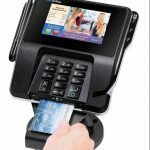 Most companies now have chip card readers, but some have been slow to implement the new technology. The United States began accepting chips on credit cards on October 1st, 2015. This also made merchants responsible for fraudulent charges made at their establishment if they did not have working chip readers. Financial institutions also became liable for fraud if they did not provide their customers with chips. The U.S. adopted this technology after many data breaches and credit card crime, as Europe had already begun in the 90’s. What is causing the slow implementation? Slate.com gives us insight on the slow process and steps into these new cards. The timing of an October implementation scared large businesses. This is the beginning of the Holiday shopping season and they were wary of starting a new large systematic change during their busiest season. The process would be new to customers who are generally in a hurry to get their purchases made and go, and it may pose a frustrating task for both consumers and employees. Also, any initial problems with transaction could cost the company money during this heightened sales time. Switching systems is a multi step process. Each terminal costs $500 each, and then they must install the software for each terminal. Each company then has to be certified by the banks and every card network that they accept at their establishment. For example, if the business does not accept American Express, they would not have to clear it with them, but if one accepted all major cards, each would need to be contacted. Small businesses are slow to get going because they do not see as much fraud, and are less motivated to spend the money for the new systems. They will eventually get there, but it will be a slower transition. When fraud is not a huge concern for their business or customers, it is not quite worth the money, time and strain to get chip readers right away. 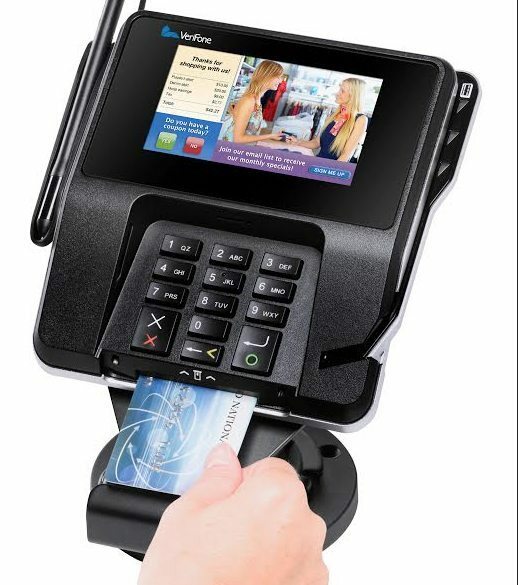 Soon enough, all businesses will be utilizing the chip card reader as every consumer will have brand new chip cards. Swiping will be a thing of the past, in hopes of cutting down on data breeches and fraudulent charges. For questions regarding POS systems, and to find the right POS system for you, visit our website or call us toll free at 1-877-580-9687. Point of sale systems simplify the accounting process. Old fashioned cash registers force accountants to sort through hundreds of receipts, but with a point of sale system financial personnel can simply use the built in reports or create their own. Unlike a cash register, a point of sale system often includes an overall inventory management system. Store owners can use a point of sale system to track their biggest sellers and reorder those products when stock gets low. It is easy to look up past transactions. If you need to know how much you sold last Tuesday a point of sale system can give you that information in a snap. It would take many hours of laborious work to find the same answer using a cash register. You can use a point of sale system to create your own purchase orders, eliminating an extra step in the ordering process. You can even automate the ordering process to make sure you never run out of your hottest selling products. Modern workers are often more comfortable with point of sale devices than old fashioned cash registers. The generation now entering the workforce never knew a time without computers, and as a result they are very comfortable working with computerized technology like point of sale devices. Point of sale devices provide faster service than old fashioned cash registers. Every part of the process, from authorizing a credit card transaction to printing a customer receipt, is faster on a point of sale device. Customers receive more informative itemized receipts with a point of sale devices. Many cash registers can only print the date and the amount of the sale, but since point of sale devices are tied into the inventory control system they can provide much more detailed information, including a description of the item, the list price and the sale price. Point of sale devices can cut down on user errors. Hitting a wrong key is always a risk when ringing a sale, but point of sale devices have built in checks to ensure that the information is entered accurately. You can see real time inventory with a point of sale device, something that even the best cash registers simply cannot do. In fact, many companies have found that implementing a point of sale system virtually eliminates the need for a costly hand count. The maintenance and repair costs are often much lower on a point of sale device than a cash register. The number of companies that repair cash registers is dwindling, and that means that repair costs can be rather high. There are many vendors who repair point of sale devices, and that can keep repair costs low. 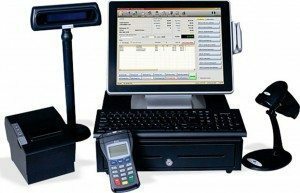 For questions regarding POS systems, and to find the right POS system for you, visit our website at http://retailtechinc.com/ or call toll free at 1-877-580-9687. Is It Time to Add Mobile Technology to Your POS System? The inability of retailers to provide a personalized customer experience is what makes the flexibility of mobile so attractive. Sixty-five percent of retailers targeted in the study claimed that mobile POS has already been identified as one of the key ways to help with line busting and decreasing customer service wait times. POS Mobility has also been defined as a key objective in the effort to modernize and augment the traditional POS experience to better meet customers’ growing technological and personal expectations. Multi-system integration with applications is important to top retailers. Forty-two percent of respondents named POS integration with other applications as a key priority as well as the implementation of dynamic marketing content through mobile devices (29%). When you consider how many retailers (74%) operate in information silos as indicated by another Aberdeen Research Report, it makes sense that retailers would want to store customer information and purchase history all in one centralized database that could then integrate with multiple applications such as a mobile device. The interest in POS mobility makes sense when you consider that retailers often desire to know more about their customers, but don’t want to have them wait in longer checkout lines just to acquire this data. After waiting thirty minutes in a checkout line, many customers would balk at the concept of a “loyalty program”. This concern is one of the reasons why retailers today actually know very little about their customers. POS mobility helps speed up customer interactions outside of the checkout lane while providing a more engaging, personalized retail experience. For questions regarding POS systems, and to find the right POS system for you, visit our website at http://retailtechinc.com/ or call us toll free at 1-877-580-9687.